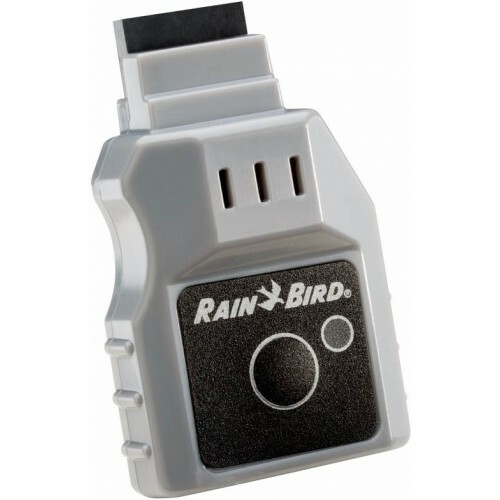 Rain Bird now offers the LNK WiFi Module for Residential and Light Commercial Rain Bird controllers. The New Rain Bird LNK WiFi Module allows easy access and control of a Rain Bird irrigation system from anywhere in the world. With the LNK WiFi Module and Rain Bird’s FREE mobile app, users get access to off-site management, real-time alerts and advanced water management tools via their smart phone or tablet. 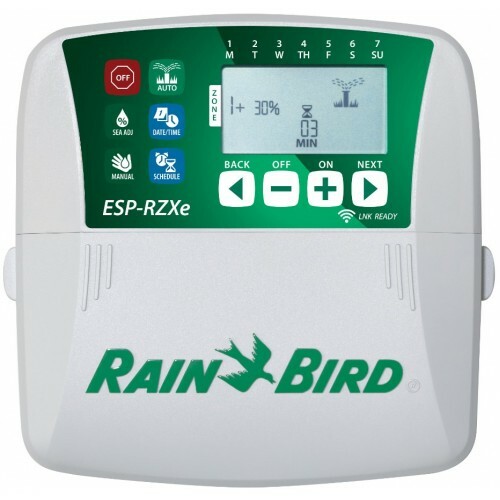 The popular Rain Bird ESP Series of controllers has been expanded to provide a contractor grade irrigation controller for residential and light commercial applications. The ESP-RZX Controller provides zone based set up that is easier to understand by untrained users. Fixed 4, 6 and 8 zone models are available. The ESP-RZX provides flexible scheduling features that make the controller ideal for a wide variety of applications including residential and light-commercial irrigation systems. LNK Wifi Module Sold separately. Without the LNK, the ESP-RZXe can still be used like a conventional irrigation controller.